Pearls by their very nature are astonishing gems found in the world. 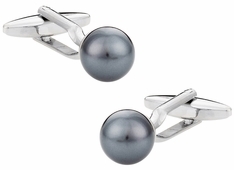 White pearls are extremely common compared to black pearls, which must be cultivated from oysters. 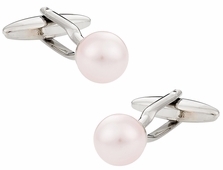 Other colors of pearls are synthetic, although stunning. 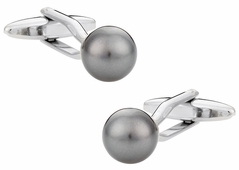 If you want a unique design that shows your love for such a precious gem formed by a mollusk for your cufflinks then consider a white pearl design with a stainless steel or silver backing. 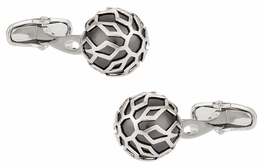 Swarovski is a premier manufacturer for synthetic and pearl design cufflinks. The crystal Rosaline pearl is a simple yet tasteful design, which might appeal more to our modern woman versus our male customers. 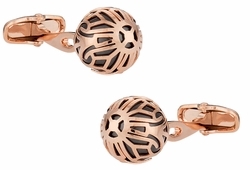 Swarovski creates items that can also be considered unisex in the pearl cufflinks category. 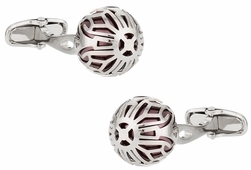 For example the stunning silver caged pearl by Swarovski is a set with white faux pearl in a crystal creation. It looks like an oyster with a pearl inside. 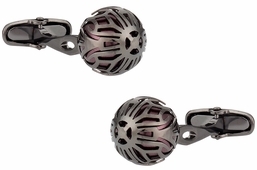 There are several options such as black, burgundy, gunmetal, and others in this style that certainly make it possible to have a whole collection, with small differences. A stunning creation is the regular pearl attached to a stud, but rather than white you can choose from black, light gray, bronze, or cream. These creations are also crystal ensuring a beautiful and elegant design. 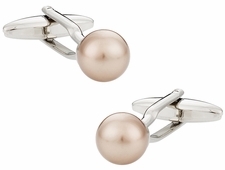 One of the main reasons to go with pearl cufflinks of this sort from Cuff-daddy.com is the shimmer. Everyone will notice your flawless accessories simply by the light catching the wonderful crystal and shimmering. 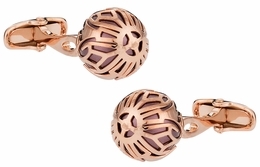 The unique technology behind these stones is another layer of innovation by Swarovski. 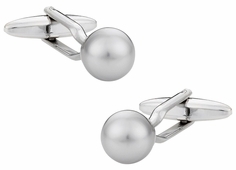 These pearl cufflinks use pearls from Swarovski and are simulated, not natural pearls. 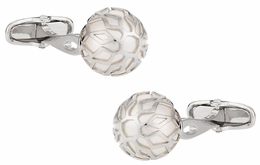 Crystal Pearls by Swarovski are pearls made with a crystal core. Their unparalleled shimmer is achieved using a unique coating technology developed by the geniuses Swarovski. 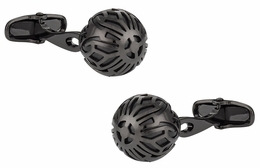 It is the first production method in the world that combines the quality of a perfect crystal core with the stunning beauty of a pearl coating. The innovative technology by Swarovski gives the pearl a mysterious glow, which appears to be radiating from within the pearl itself. 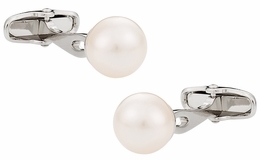 Strictest quality controls ensure each Crystal Pearl is absolutely flawless. 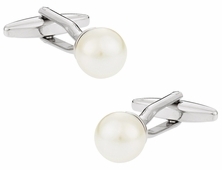 So, treat yourself or that special someone, pearl cufflinks by Swarovski.